More often than not, the mention of Cabernet Sauvignon at most wine tastings in this country leads to conversations about Napa and Sonoma. 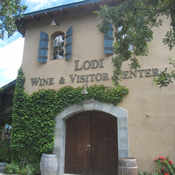 However, Allison Levine at Napa Valley Register.com says it’s time to “rethink Lodi.” Think Lodi, and “hot climate, high-alcohol wines, mass production, and large brands” are often used descriptors. That’s not necessarily inaccurate, but there’s a lot more to Lodi than its jug wine reputation. That was then, but this is now. AVA status was granted in 1986, “and since 2005, there are seven sub-appellations.” Since the 1990s, Lodi has evolved into a tourist destination with some 65 tasting rooms. Two-thirds of the 110,000 acres in Lodi are planted to red varieties. 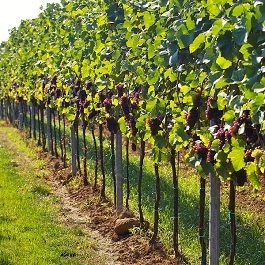 Cabernet and Chardonnay are big crops, but there’s also an emphasis on Italian, Spanish, Southern Rhone, Portuguese, and German varietals. The point is there are a lot of quality wines coming out of the region, and at prices substantially less than their counterparts from Napa and Sonoma.